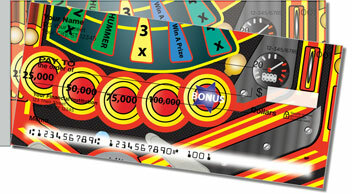 Long before "carpal tunnel syndrome" became a household name, your fingers and forearms got their workout at the pinball flippers! And just like Tommy, that deaf, dumb and blind boy memorialized in The Who's rock opera of the same name, yours are supple wrists, indeed! So what if they get a little sore after a marathon at the blinking, bell-ringing, glass-topped game table? 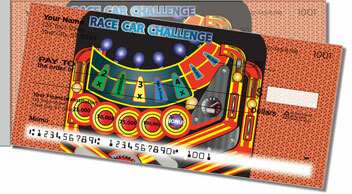 Your score is still the one to beat! 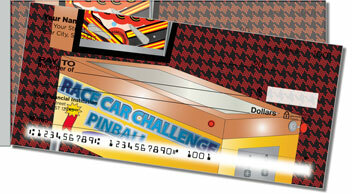 Now you can celebrate your own pinball wizardry every time you write a personal check. 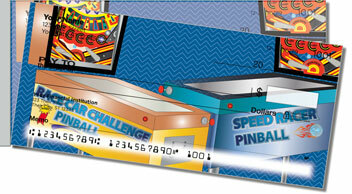 Just order these fun Pinball Side Tear Checks and matching address labels from CheckAdvantage. Make them yours today!